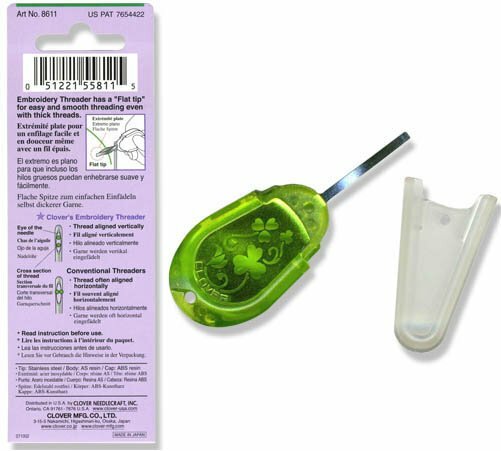 This clever Clover™ tool as a 'flat tip' that gives you smooth threading when used with thick threads. Works with any type of threads, yarns, ribbon and embroidery needles--excellent for perle cottons. Comes with a protective cap. It's a very durable threader and won't break like the filament types. You may need/want an extra one of these tools?! *Some suggested hand needles in stock with larger eyes to accommodate this threader: chenille, crewel, sashiko, embroidery, and ribbon!